A new arrival. 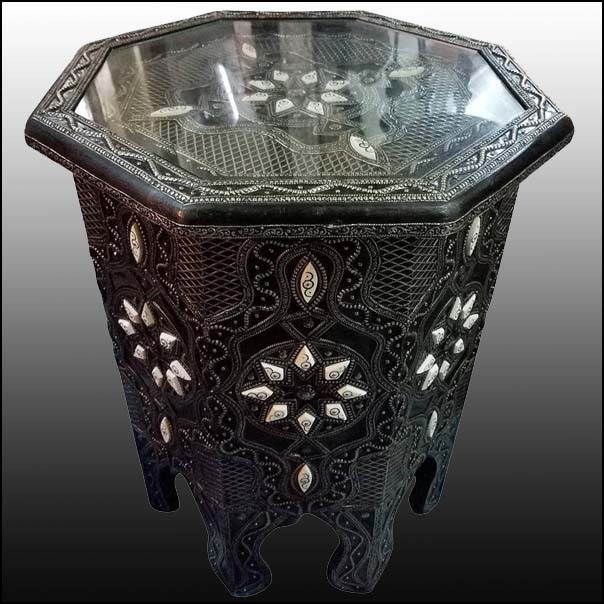 This amazing camel bone and metal inlaid Moroccan side table measures approximately 20″ high and 16″ in diameter. Very intricate and detailed work was put in to make this table a great addition to your home décor or office. Please call us for more details or to see other styles. Two currently available.